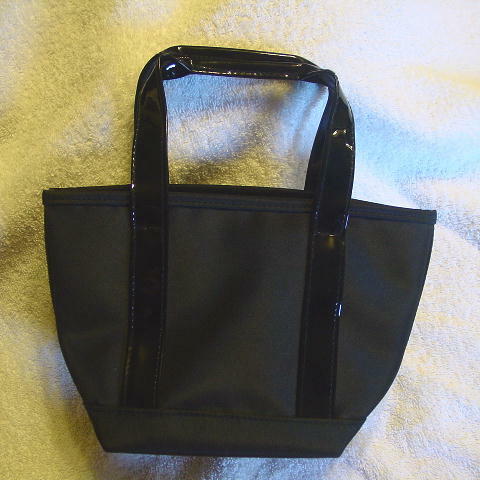 This never-used cute little black synthetic (probably nylon) fabric purse is a Chanel Beaute. It originally came with some Chanel beauty products. 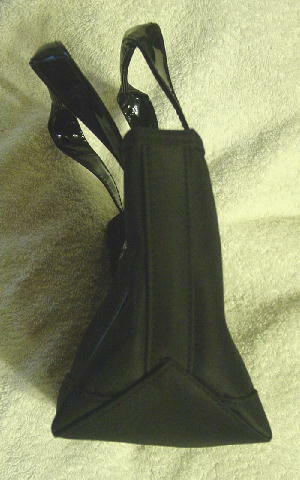 The two black handles are in a faux patent. 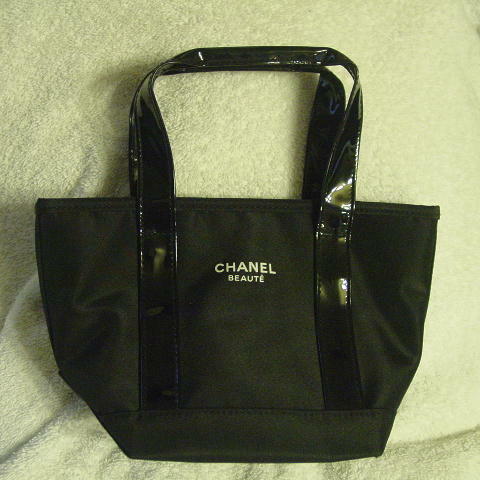 On the front in white letters it says Chanel Beaute. 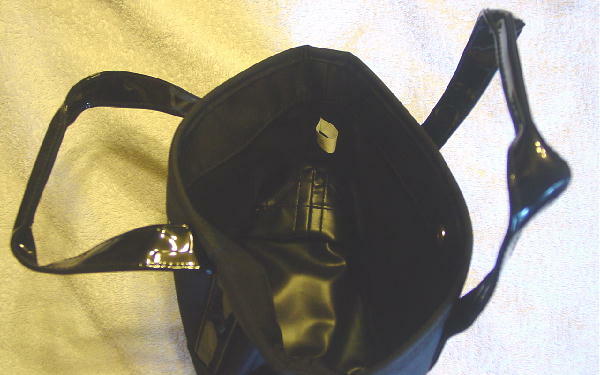 The interior has a top one snap closure and 1 1/2" of the same black fabric around the top interior. The rest of the interior is a nice black vinyl. It could be worn from daytime into evening. Her boyfriend told her he was getting her a Chanel purse for her birthday.